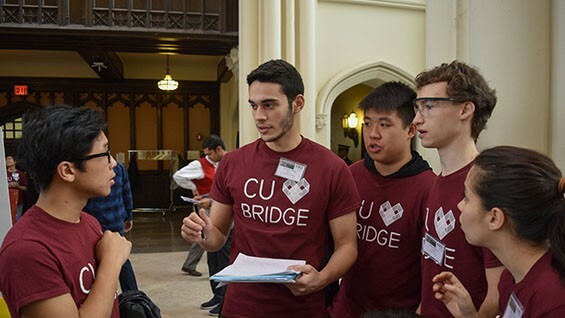 A group of Cooper’s civil engineering students won first place in the 2016 regional Steel Bridge Competition, which was held at City College of New York on April 9. Sponsored by the American Society of Civil Engineers (ASCE) and the American Institute of Steel Construction (AISC), the competition challenges students to design and fabricate a bridge that adheres to a set of rules and specifications, which are released during the summer. 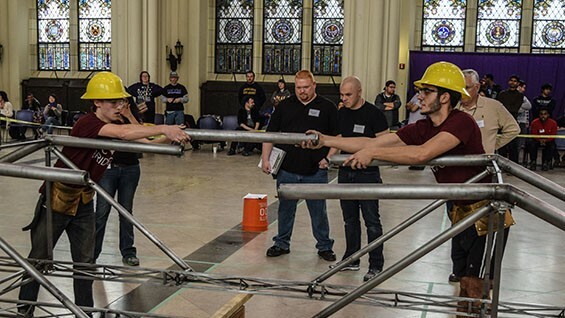 Under the direction of faculty advisor Prof. Cosmas Tzavelis, the steel bridge team not only designed and constructed a bridge, but also fabricated all the pieces used in the competition. To see a video of the construction, click here. 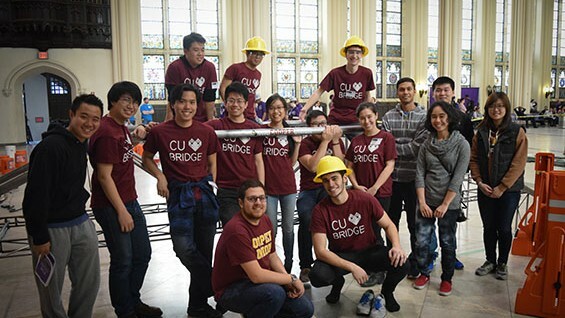 Co-captain of this year’s team, Nolana Wong, a senior in civil engineering, points out that the competition is scored based on two elements: “One is Construction Economy, based on the amount of time it took for the team to construct the bridge on competition day, as well as the number of builders; the other is Structural Efficiency, based on parameters such as the weight of the bridge itself, and deflection during load testing.” Students are penalized for errors such as dropping materials or not adhering to the size specifications. After the bridge is constructed, it is tested with a lateral load test of 50 pounds and a vertical load test of 2500 pounds. In the end, each score component is converted to a dollar amount, with the winner of the competition having the lowest cost. Cooper’s score was $8.9 million, more than $4 million less than the second place team. Last year, Cooper’s steel bridge team came in third place. For the 2016 competition, the group decided to reorganize their management structure, which previously had consisted of one or two team captains. This year, the team was organized by six leaders: Co-Captains Brian Wong CE’16 and Nolana Wong; Design Captains Amos Chung CE’16; Fabrication Captain Zach Chang CE’16; Build Captain Nina Berlow CE’16; and Outreach Manager Miles Barber CE’18. The Cooper Union also came in first in an essay competition, a requirement for participating in the bridge construction. The essay was written and delivered by civil engineering sophomore Trenton Marquette, who had researched case studies to respond to this year’s topic: how should an engineer work in locations where design standards may yield unsafe design solutions? Trenton said, “I argued that when working in such situations, engineers have the ethical obligation to exceed the design standard and ‘invent’ a standard based upon the magnitude of events such as floods and earthquakes so that design standards guarantee safe design solutions. I started out with Hurricane Sandy and how the subsequent code update established a good baseline for building standards.” Other students helped him edit the paper, which he delivered the highlights of in a five-minute presentation. The Steel Bridge team is sponsored by William Sandholm CE'63, The Steel Institute of New York and Urban Tech. 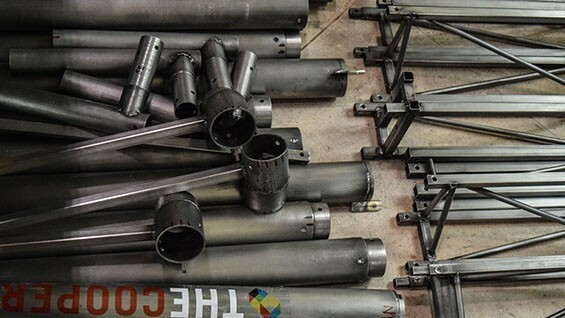 If the group can raise enough funds to travel to Utah as well as to ship the bridge parts, they will compete in the national competition on May 27-28 at Brigham Young University.